I heard from Kathy and Carol that this year’s BOM had A LOT of interest. That’s thrilling! I encourage everyone to make the tulip block and turn it in at the August meeting. Remember, everyone who turns in a block will have their name entered in the drawing for Susan Brubaker Knapp’s new book Point, Click, QUILT. I have it and it’s wonderful. Above is Daphne with the August BOM – roses. The perfect pink flower. 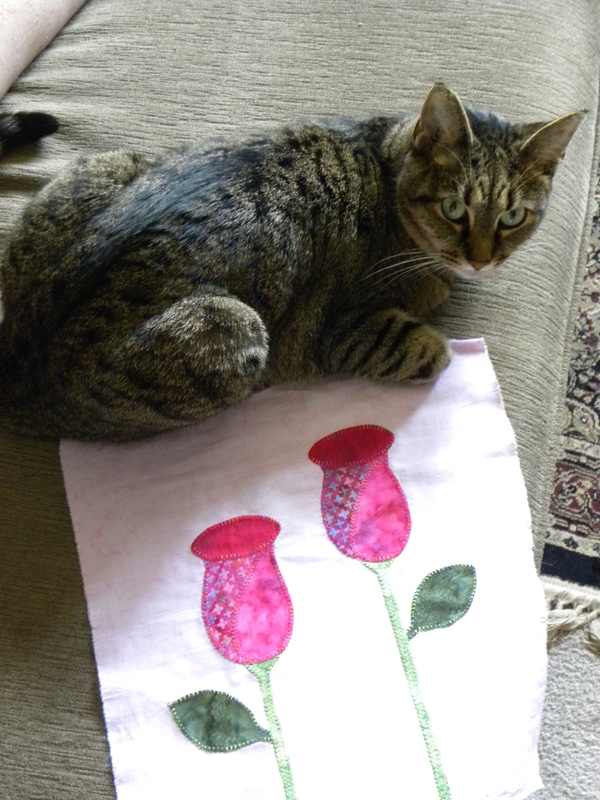 This entry was posted in Uncategorized and tagged BOM, cat, roses by Karen. Bookmark the permalink.